New to SMM? Start Here. 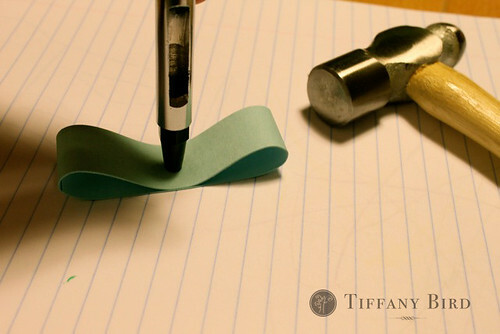 All photos, tutorials and patterns on this site are copyright by the author, Tiffany Bird, unless otherwise noted. Not for commercial. Please review license before reusing content. 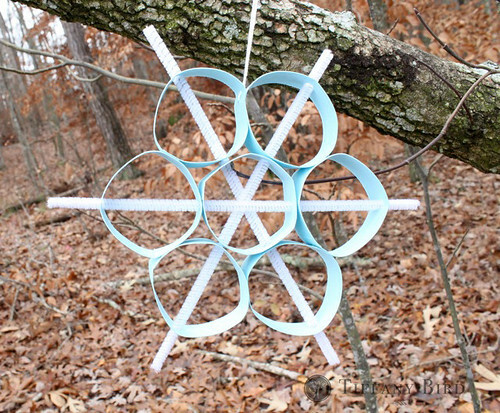 Continuing with the 3 part snowflake tutorial, this is #2. 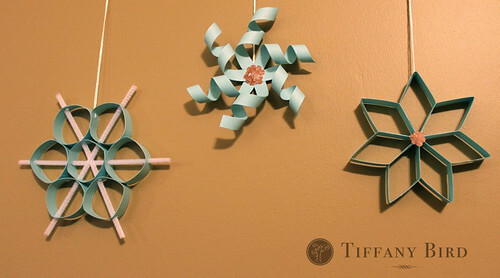 Here is the cookie cutter paper snowflake, the twirly snowflake and then a surprise forth snowflake, the twisted paper snowflake. See all three in the picture below. If you make something using this tutorial, please upload pictures of it in our Flickr group to show it off to everyone. You may be featured on Simply Modern Mom. Measurements and sizes are according to the snowflakes I made for this tutorial. You can adjust to make a snowflake bigger, smaller or fuller. 1. 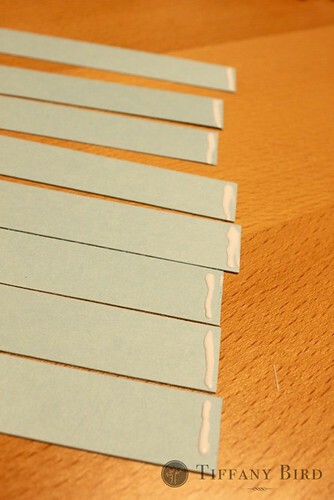 Cut cardstock paper into 3/4″ x 6″ strips. Cut 7 strips. 2. 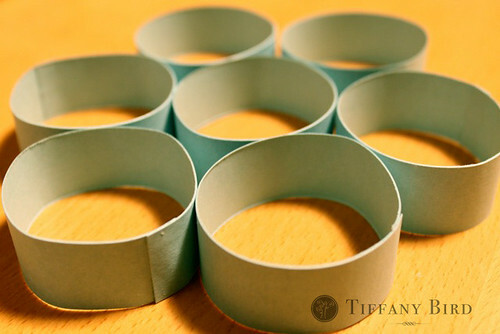 Glue the strips into circles. 3. 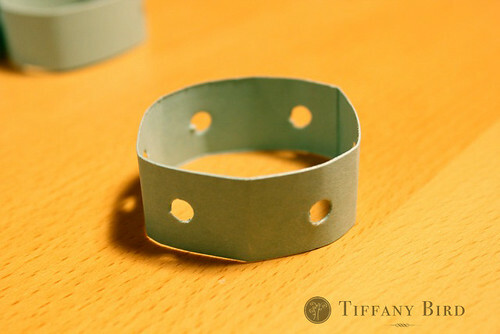 Use the hole punch to punch holes into the circled strips. I used a scrapbook hole punch and hammer for smaller holes. 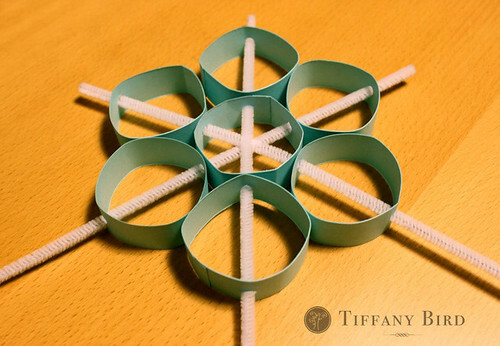 Gently bent the circle in half then punched a hole through both sides so it comes out even. Do only to 6 circles. 4. To do the holes for the center circle, lay the chenille over the circle like the picture below and mark with a pencil where all 6 holes will go. 5. Then repeat step 3, but do it three times ending up with 6 holes. 6. 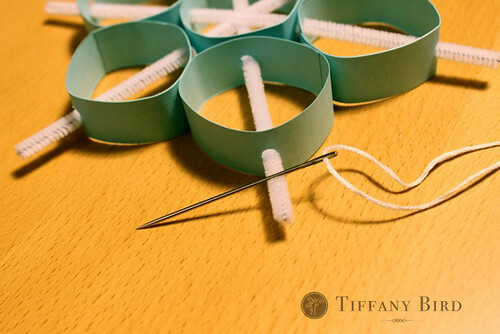 Pull chenille through the holes, aligning the circled strips in place. Trim off excess chenille. 7. 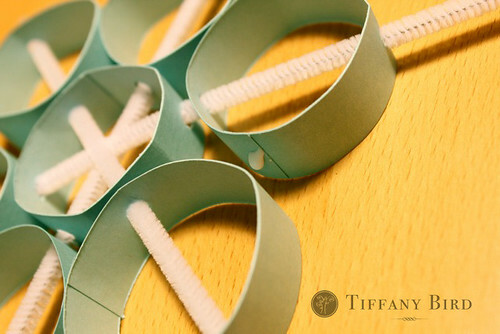 Glue the outer circled strips at their touching points. 8. 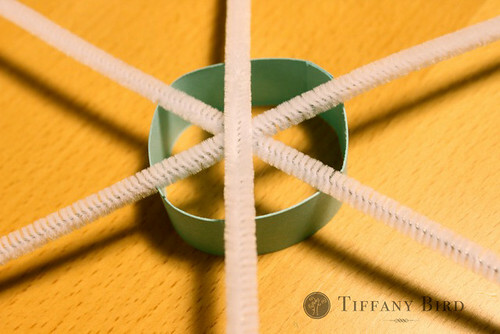 String it with ribbon or strings using a needle. How pretty! I love sweet & simple projects! 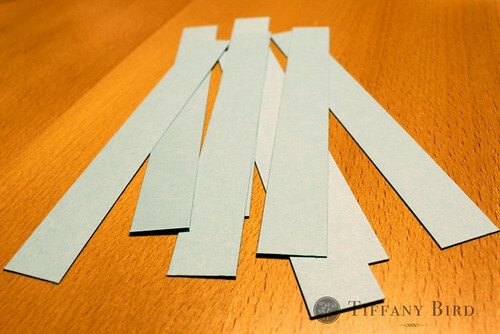 Tiffany, these are all great! you are very creative! 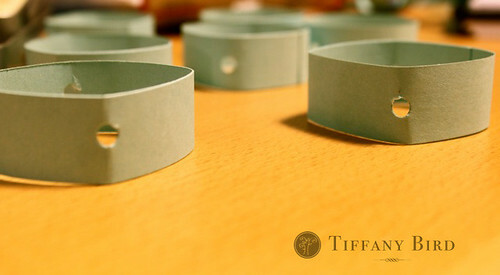 That is so cute Tiffany! I am going to put up the button for your giveaway right now. Sorry I haven’t done it yet. Very cute and creative! I’ve honestly never seen these before. Great project for the kids! And we have the materials! They look very pretty! Can’t wait for the third episode. You should really start a craft shop & charge to be holding classes year ’round for us all….I’d attend. Great tutorial- love the simplicity of the ornaments. I love these! So charming and your pics are fab! A modern twist on old-time paper! Stop by–love to meet you! These are so clever and cute! Now that I see the tutorial, not that complicated either. Thanks for sharing how to do them. Have a good weekend! 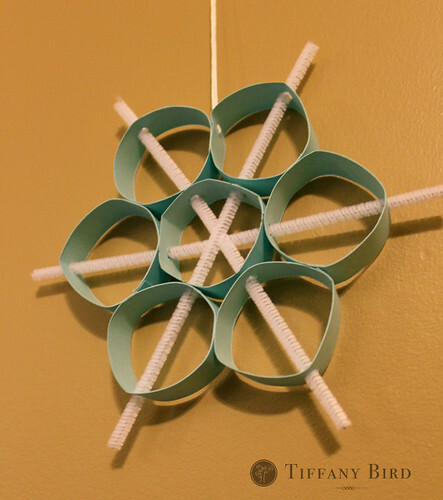 These are beautiful and will be a great craft to do with my children. Thanks so much for sharing! Thanks for posting this! I made these with my 3rd grade students today, and they had a ball. It was at just the right level for them – not too challenging, but not too easy either! Thanks again!